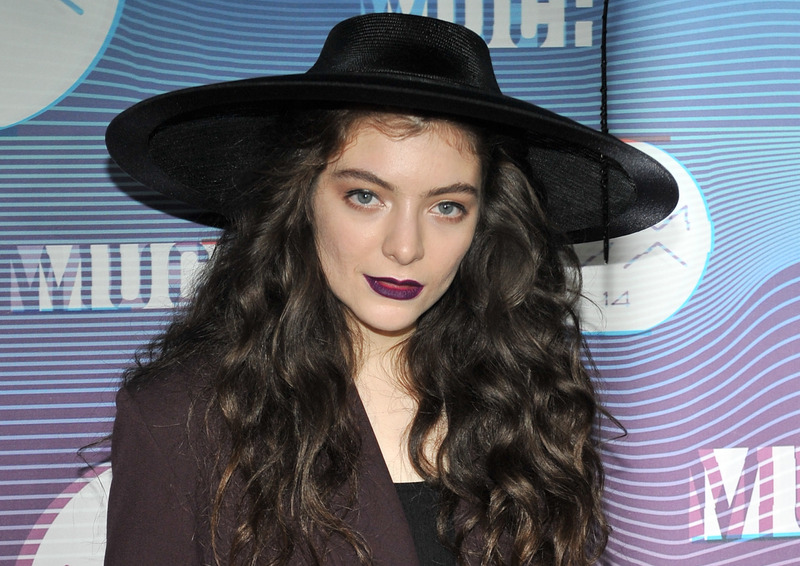 If you weren't around an Internet connection yesterday, you may have missed this amazing bit of news from The Hunger Games film franchise, which is preparing to release the first part of its final film: 17-year-old pop sensation Lorde will curate The Hunger Games: Mockingjay Part 1 soundtrack, in addition to contributing the first single for the record. It's huge news for Lorde, because, though at first glance it might seem like curating a soundtrack is something like making a mixtape for your favorite film, it's actually a major task — it takes not only an eye for the tone of the film and cinematography, but also an ear for the emotions that specific scenes are supposed to encourage. It's a tough task, but I have no doubt Lorde will do an amazing job: She's 17 and already has a countless number of hit singles, awards, and Twitter followers. The girl can do anything. Based on the tones of previous soundtracks for the franchise (The Hunger Games: Catching Fire had a particularly great soundtrack, which actually included an epic single from Lorde titled "Everybody Wants to Rule the World,"), the record will probably be a bit darker than one is accustomed to seeing from soundtracks for teen films. The franchise is full of death and killing anyway, so it fits! That said, it's tough to tell who will be included on the soundtrack — but that doesn't mean we shouldn't start speculating now. So, in honor of this news, here are my suggestions for Lorde's curated soundtrack to Mockingjay Part 1. The opening of this song reminds me so much of The Hunger Games, it's not even funny. Plus, Florence's powerful vocals are perfect for the franchise, and the lyrics, "Just keep following/ The heartlines on your hand/ 'Cause I am," is undeniably fitting. Just hear me out on this one: Lorde is clearly greatly influenced by oldies, and "She's Not There" by The Zombies is an amazing song for kickass lady films (Kill Bill Vol. 2 used a cover of the song called "About Her" by Malcolm McLaren!) I wouldn't expect the soundtrack to have the original recording by The Zombies, but getting the song covered by Florence + The Machine, or Lana Del Rey, could result in a perfect addition to the record. Brick + Mortar is probably the most alternative-ish band on this list, but they're mainstream enough (as in, I heard them being played on an episode of Catfish: The TV Show once) to be realistically included on a soundtrack like this. "Bangs" is a great heavy track, with dark tones and overpowering beats that would absolutely fit with the darkness of living in Panem. And the lyrics are even better: "I think I'm gonna make it anyway." Like "Lean" by The National on the Catching Fire soundtrack, "Going To A Town" by Rufus Wainwright is the perfect amount of badass and somber to be fitting of any emotional scenes. Also, it's just a great song. One of the last verses of this song, beginning at the line, "Outside the cars are beeping out a song/ Just in your honor," — the same time the song picks up, actually — seems fitting of an epic end to the epic Hunger Games series. This track by Laura Marling actually came out years ago, but it's so dark and badass that I couldn't help but suggest it — at least for the excuse to embed it here so everyone can listen to it. Just click play. Another slow-ish song, but The Hunger Games series has a lot of emotional moments, so it's fine. Making this song fitting? It's not only lead singer Jesse Tabish's raw vocals — just have a listen, and it's hard to ignore that even the piano is a little dark in this one.